Commentary on Revelation by Kenneth L. Gentry, Jr. Enter your email below and we'll let you know when the new commentary on Revelation by Kenneth L. Gentry, Jr. is available! 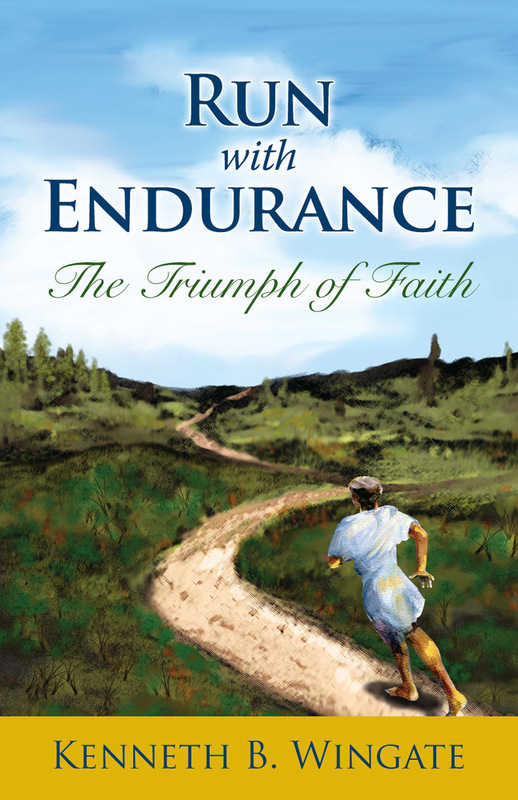 This fresh look at the joys and challenges of sustaining the Christian walk will refuel your soul. What is the source of power to press on in faith? The twelfth chapter of Hebrews holds the key that opens the door to the greatest prize in heaven or on earth. Kenneth B. Wingate is a lawyer in Columbia, South Carolina. He is a member of First Presbyterian Church (Associate Reformed Presbyterian), where he is an elder and Bible teacher. He is the author of A Father’s Gift: Lessons from Proverbs, and is an occasional triathlete. Having become disillusioned with the shallowness, incoherence, and man-centeredness of mainstream contemporary Christian worship, a growing number of ministers and laypeople within the Protestant Church are beginning to recover the biblical roots of traditional Reformed worship. If you count yourself among this number, Leading in Worship was compiled for you. Here is a rich profusion of liturgical material carefully selected from the various directories and prayer books published during the heyday of the Protestant Reformation and compiled into a robust liturgical directory with adaptable forms of worship appropriate for every occasion. But this is more than just a directory of worship. Editor Terry Johnson also explains the importance and purpose of the different services, outlining the biblical foundations for the varied worship practices of the Reformers. Created for ministers, this book also edifies and encourages congregants by providing a biblical rationale for liturgical forms. 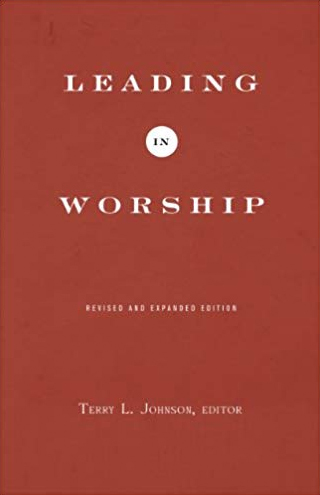 Leading in Worship is a practical handbook of utmost importance to the modern reformation. Hardback Cloth Cover with Dust Jacket; 356 pages. Our political situation is bleak: nation-building, rising taxes, broken election promises, immoral legislation and legislators… the list goes on and on. But we’ve allowed this to happen. For the last 150 years, throngs of American evangelicals have surrendered under the white flag of pietism, refusing to enter the “worldly” political arena. By default, Christians have allowed God and His Word to be shut out of politics, enabling secularists to install a new Western Savior—the omnipotent State. 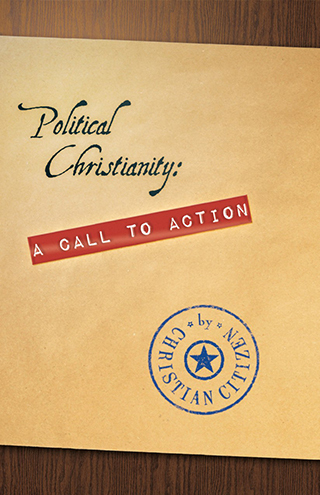 Political Christianity is a manual to help establish atruly biblical approach to politics. Impressively thorough yet concise, this readable book covers a great deal: from political presuppositions to biblical principles of government. It even provides practical insight into the pesky”lesser-of-two-evils” voting dilemma. With this book, Christian Citizen joins the honorable ranks of anonymous American Patriots who have fought with their pens for the cause of liberty and justice under God. Christian Citizen is anyone who has taken the time to apply the Scriptures to every area of life, public and private. It’s high time we all become true Christian Citizens. Think like a Christian. Then act like one privately and publically. This is your mission… whether or not you choose to accept it. No, this book is not for you. It’s for your neighbor. Because if every American who claimed to be a Christian were doing what you’re already doing, we wouldn’t be in the mess we’re in. So buy this book in bulk and give it to all your politically dormant Christian friends. It’s easy to read and thorough, and it just might add a few more recruits to our numbers at this very crucial time in the battle for our nation. Americans are losing hope in the future. Patriotism is at an all-time low while partisanship is at an all-time high. But we have the remedy! White Hall Press is pleased to release this rare American treasure back into print after 117 years! 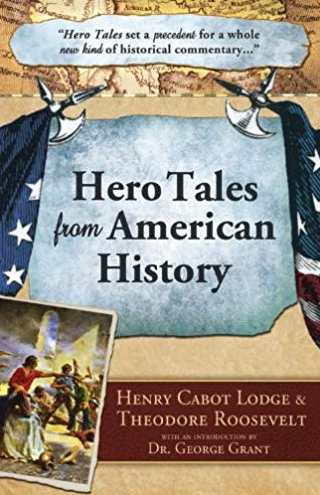 In Hero Tales of American History, one of our most legendary Presidents & Congressmen retell the stories and glories of America’s greatest heroes. This is a book for the whole family. Read it to your children because they will NOT hear these stories in the government schools. Written by Theodore Roosevelt and Henry Cabot Lodge, this special edition has been re-typeset and features rare historical images from the prestigious collection of The American Vision. History should not be a dry and boring rehearsal of places, dates, and events. This book—originally published in 1895—was designed to revive the venerable Christian tradition of charting the topography of the past. It was meant to bring the tales of forgotten American heroes back to the fore of the American story. Comprised of true tales, to be sure, the authors wrote them to read like valiant fables and not like vapid facts. Henry Cabot Lodge met Theodore Roosevelt when the two young men first came to Washington D.C. at the advent of their public service careers. Lodge was an accomplished first-term congressman representing Massachusetts. Roosevelt was a newly appointed Federal Civil Service Commissioner, already having gained national attention as an irrepressible reformer in the notorious snarl of New York politics. The two became fast friends. Both were deeply devout and scrupulously moral, then as now, rather rare traits in Washington. And both men eventually were to go on to have stellar careers and leave indelible marks on American history. With a compelling combination of biblical theology, scriptural exegesis, and Jewish cultural history, author Joel McDurmon takes on the question with a clarity and honesty that is as refreshing as it is rare. Taking a neutral corner in any debate is not McDurmon’s style, and it is certainly not the strategy of this book. He does not stop with simply answering the title question, instead, he goes on to show that food and drink, and the act of eating or drinking itself, have for far too long been taken for granted by modern Christians. 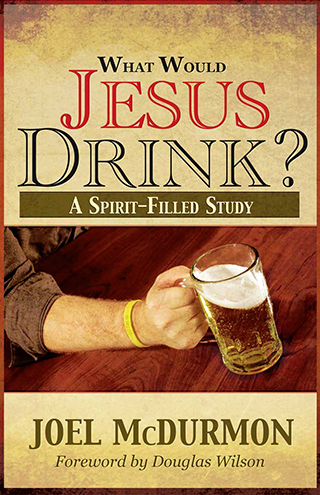 What Would Jesus Drink? A Spirit-Filled Study is not just another dull book about Christian doctrine and practice; it is a rich and full study of the goodness and grace of God. It is an intensely practical book about the joy of celebration and the blessings of the covenant community. 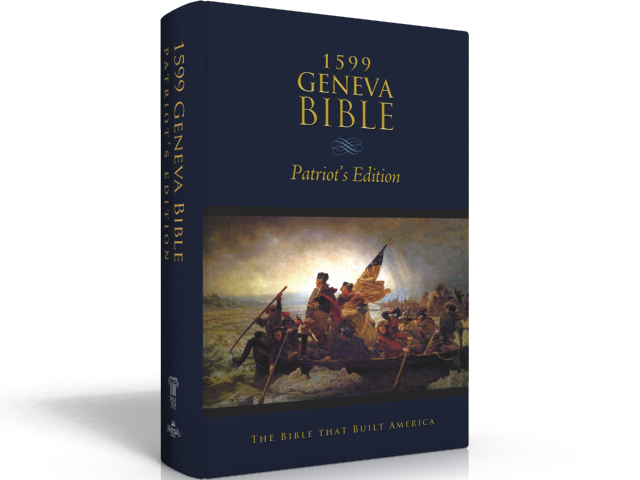 Between 1560 and 1599, The Geneva Bible was providentially unleashed upon a dark, discouraged, downtrodden English speaking world. Just when it looked as if the Machiavellian, Divine Right kings, such as the Tudors of England, were about to drive Christendom back to the days of Caesar worship, a Bible appeared that set the stage for a Christian Reformation of life and culture the likes of which the world had never seen. By the time of the defeat of the Spanish Armada in 1588, just 28 years after the first printing of the Geneva Bible, it was already being said of the English that they were becoming a .people of the Book.. The results of a people reading and obeying the Word of God were the explosion of faith, character, the first missionary movement in history, literature, economic blessing, and political and religious freedom.